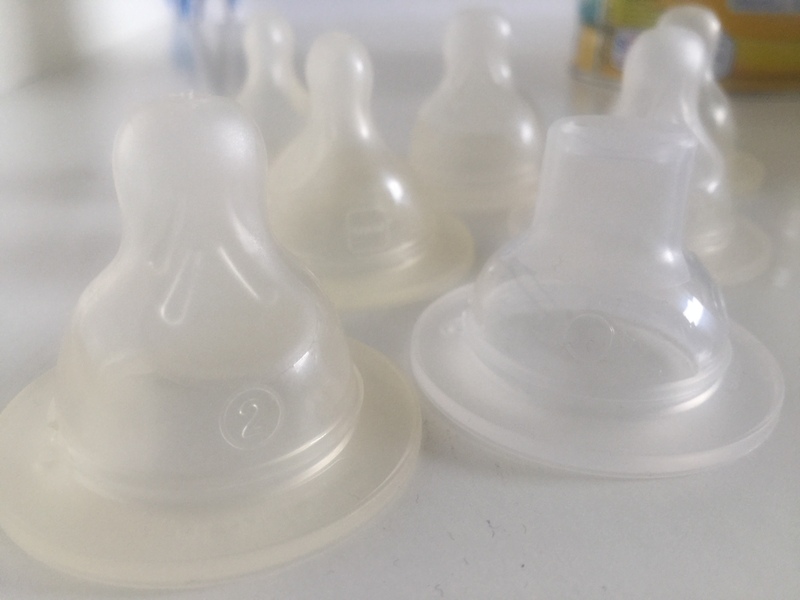 Mummy to Dex - Increasing Teat Size - Is Your Baby Ready for the Next Size? A few nights ago I finally changed the teats in Dexter’s bottle from size 2 to size 3. I had previously attempted to change him to the bigger teats around a month ago but had failed spectacularly. Milk had spilled everywhere, he had choked, gagged, spat out the milk and finally started clamping his mouth shut. I had read online that many babies don’t need to increase the teat size and I decided that Dexter must be one of those babies. Then I realised I had missed so many signs that he was actually ready to move up a teat. It’s so easy to see all those signs once you figure out what is going on but prior to my epiphany a few nights ago I put the signs down to teething/weaning/growth spurt/leap. Here, I am going to list all the signs that I missed- hopefully sharing this will help you understand if your baby is ready to progress onto the next sized teat. Dexter reduced the amount he was feeding per session by 2-3oz. This started happening around the time I started weaning him and I presumed his little belly was full from the fruit purees he was eating. Now I realise he was probably getting sick of sucking on a teat that was too small for him. He started wanting six bottles instead of five per day. This is related to sign number one. He wasn’t getting enough milk during the day so he needed an extra bottle in the evening. We recently had a clock change and I thought it was down to the early nights as he had started to want to go to sleep earlier. Dexter started going less time between feeds. Again, all fits in the above. He went from having a bottle four hourly to wanting it three hourly. He started waking in the night. The poor kid was probably starving. I was trying to hold off on giving him the sixth bottle if I could help it so he started waking at 3am for the food he needed. I thought he was teething! He began grunting during bottles I thought it was because he was windy, so I’d stop and burp him, but now I realise it’s because he was getting frustrated that his milk wasn’t coming fast enough. Since we have replaced the teats I have seen a huge change in Dexter. He is generally more content, probably because he’s not always on the edge of hunger and he is sleeping a lot better during the day as well. He is finishing all of his bottles, he is back to drinking 8-9oz during each feed and he is also back to feeding every four hours. ♥Most of the milk is being swallowed perhaps with a little escaping here and there. ♥No choking or spluttering on the milk. ♥Baby finishes the whole bottle and in record time. ♥Coughs and chokes on the milk. ♥More milk ends up spilling out of the mouth than is swallowed. ♥Clamps mouth shut or pushes bottle away and refuses to feed. ♥Manages to finish the bottle but then projectile vomits everywhere. If you think I’ve missed any other obvious signs please comment below to help other Mums! I hope you found this useful.